Most water proofing products on the market today for masonry applications are silicone or polyurethane based. 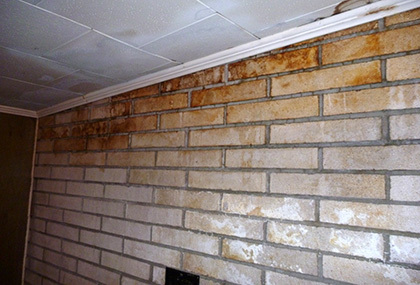 These products physically seal the outside from moisture entering into the masonry. The problem with this when used on a chimney is that the flue is a pocket of air on the inside of the chimney. This pocket of air has to be able to breathe and when using a sealant moisture becomes trapped inside causing damage both seen and unseen to the structure of the chimney and flue. 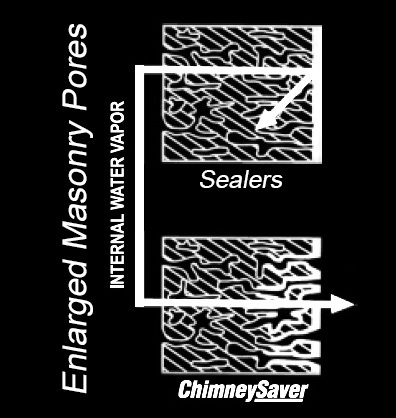 So, instead of using silicone we use a patented water based product called Chimney Saver Water Repellent which creates an invisible barrier on the exterior of the chimney allowing moisture vapors to escape the porous surface of the chimney but preventing moisture from entering. 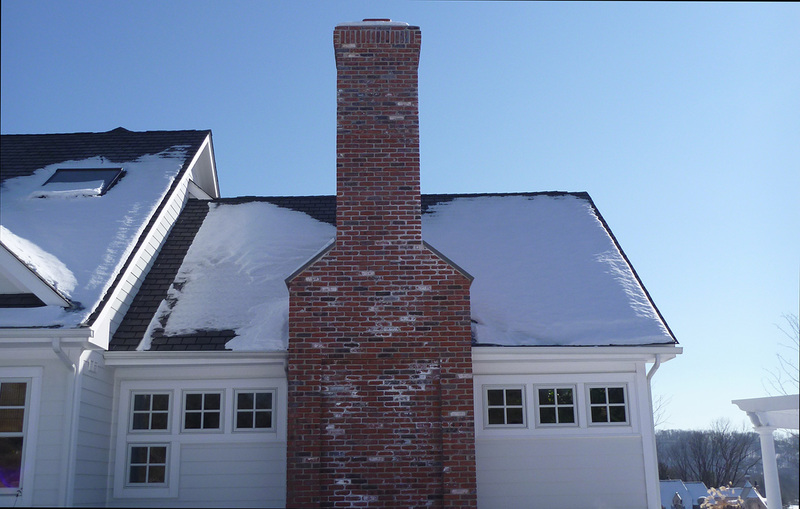 For chimneys that have not received a water proofing application since built, we use our standard water-based solution. 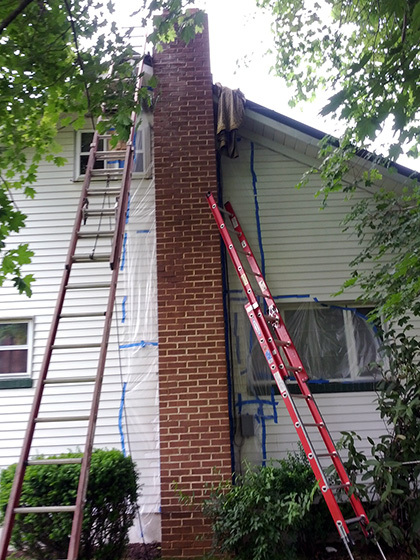 However if in the past five years the chimney was water-proofed with a silicone or polyurethane water proofing product our solvent based version of the repellent cuts through the silicone to properly water proof the chimney. 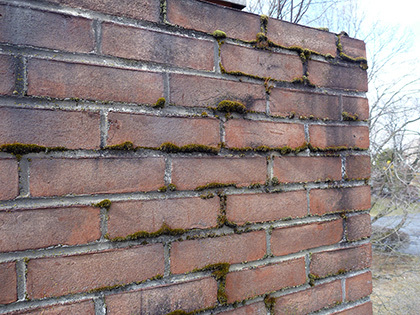 Water proofing with Chimney Saver is a fairly straight forward affair although there are a few variables restricting us from when we can apply it. This type of work is done by us only in Spring and Summer as surface temperatures must be 40F or higher, we need sunshine, and low wind. If these conditions are met we arrive on the job and first protect the house, the roof, flashing, windows, air-conditioning, and anything else that needs protection. We then perform a "wet on wet" application which means we spray over the area we just did looking for the proper absorption of product. To give an accurate price an estimate must be given. The reason being that we have to provide a low, average, and high estimate based upon the amount of absorption over the area of the chimney. As all chimneys are different sizes and are constructed with different materials this is something we would need to come out and calculate. 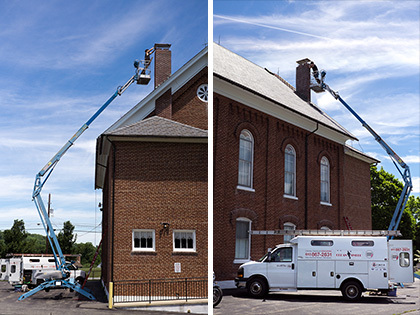 We also take into account access, chimney/house prep, and any growth removal on the chimney before we can spray. Chimney Saver comes with a 10 year manufacturer warranty which we feel is conservative as chimneys sprayed 15 years ago appear to still be repelling water. To schedule a water-proofing estimate please contact us and we will set up a time to come out and price out your individual application.